Camo shirts were sold in the quad for $10 each. They are meant to be worn on game day for the last football game of the season. For the last football game, students show school spirit by taking part in Camo Day. Throughout the week, camouflage shirts were on sale in the quad for all students to purchase for $10. Each shirt has a green camouflage print with “Scots” printed on the back. On game days, students usually take part in Scot’s Day and wear blue to represent the school’s color. For the last game, the new camo trend replaced the traditional blue theme. Camouflage has recently become a popular fashion trend. From camo pants to T-shirts and even shoes, the pattern has developed to become one of the most popular trends of 2017. “It’s one of those trends that you either love or hate. I like the camo print trend because it is loud and different. I especially like camo in different colors like pink, blue, and purple. Though some people may think they don’t look good in camo, I personally think anybody can wear it if they style it right,” said Ella Reyes, a sophomore. The inspiration for this year’s Camo Day mainly came from the new liking for the pattern. “I like how ASB incorporated the camo trend into a spirit day. It’s different from what we normally wear on Scot’s Day and it is good to have some changes once in a while,” said Reyes. This year’s camo day was a success due to all the people who bought shirts and participated. Many people enjoyed camo day because they were able to wear something they like to wear and show school spirit at the same time. “I was excited to hear that the spirit theme of this game was camo. I like how ASB was able to change up what usually goes down on game days and make the last one different. I also think many people feel the same way as I do because camo has become so popular this past year. Camo is one of my favorite trends because it brings a whole new vibe and style to how everybody expresses themselves and it represents individuality,” said Mahara Kashanian, a sophomore. Many people who participated in camo day enjoyed the activity and hope that ASB will continue to add trends to their spirit days. 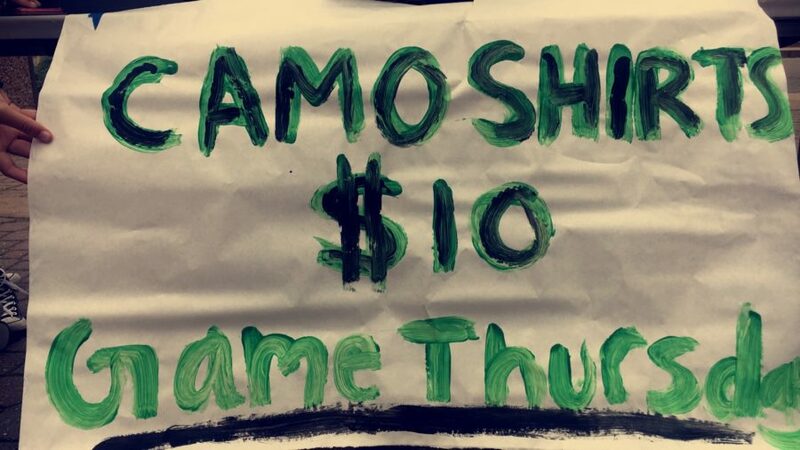 “I have always liked spirit days at Carlmont and I hope ASB continues to come up with great ideas that include everyone at the school,” said Kashanian. Why are certain #trends so popular these days?